Janaki is well-known in Tamil cinema for her motherly roles but she has now moved on to storytelling and writing for children. The last time that the audience saw 'Ghilli amma' a.k.a Janaki Sabesh, known for her motherly roles, was a year back in Singam 3. Over the last four years, movies have taken a backseat for as her focus has shifted to her storytelling outfit for children—Golpo Tales Unlimited. A few days ago, this talented storyteller has adorned another feather to her cap. 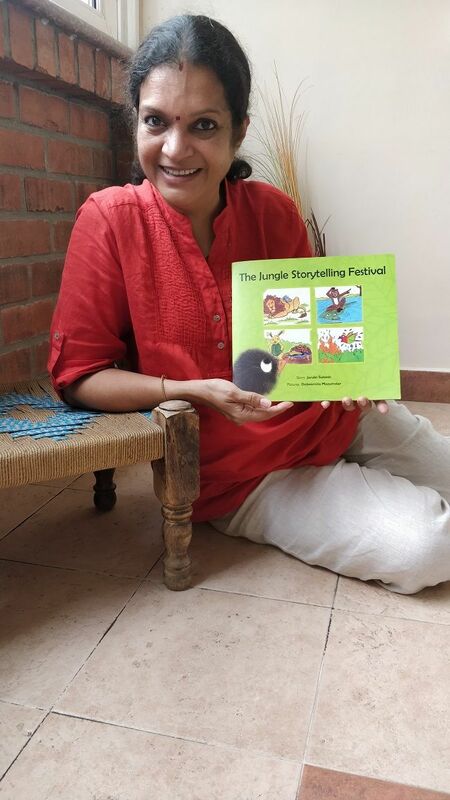 Janaki has authored a children’s storybook—The Jungle Storytelling Festival—an original creative narration, published by Tulika Publishers. Janaki, who is currently doing an advertisement series for a jewellery brand, has no regrets for not being in the limelight of tinsel town and confesses that the last four years have been most gratifying. Earlier, her fans were all movie buffs but with her new identity, she has developed a new fan base comprising children who all recognise her as “story aunty” in public places. “I have been getting movie offers but nothing very exciting came up. It is amazing how I have rediscovered myself with storytelling,” says Janaki who has been associated with children ever since she was a young adult. She has always enjoyed doing sing-along sessions with them in various child development centres in the city. More than the final outcome of seeing one’s name on the cover, it is the whole journey of writing the book that is more gratifying and delightful for this first time author. “It is a good feeling and I have dedicated this book to my late parents who have always encouraged me since childhood to follow and execute my dreams. I am thankful to my ever supportive family too who are my best critics," she says. The book revolves around a storytelling festival for animals in a jungle and reflects a bit of the author’s talent in penning song lyrics and singing, which forms an integral part of her storytelling sessions. The story contains two songs sung by the protagonist Ostroo, the ostrich and his mice friends. “Children love to listen to and sing peppy songs. I sing them while narrating,” says Janaki.